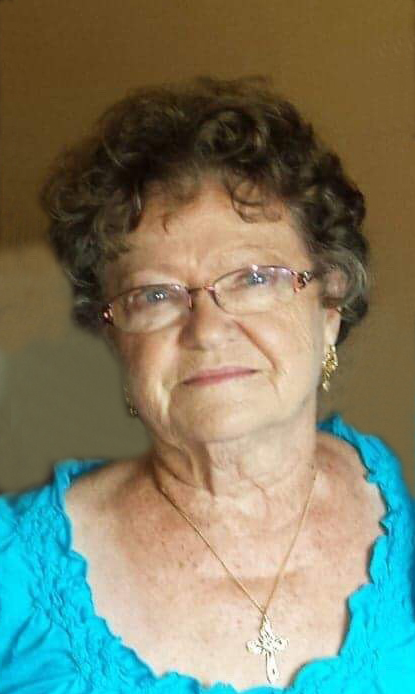 Mundwiler Funeral Home announces the death of Clarice Schnaser, age 87, of Ortonville, MN, who died on March 22, 2019, at Prairie Lakes Hospital in Watertown, SD. Funeral services are scheduled for Wednesday, March 27, 2019, at 6:00 p.m. at Mundwiler Funeral Home in Milbank. Pastor Nate Roschen will officiate. Visitation will take place prior to the service on Wednesday from 4:00 – 6:00 p.m. at Mundwiler Funeral Home. A private burial service will be at a later date. Clarice May (Anderson) Schnaser was born on July 28, 1931, at her home in Lac Qui Parle County, MN, to Hjalmer and Emma (Monson) Anderson. She attended Haydenville Country School near Madison, MN until the eighth grade. Murlyn Schnaser noticed Clarice while she was riding home with her parents after church one day. After getting to know the family, he was invited to dinner. Needless to say, Clarice and Murlyn fell in love and were united in marriage on December 6, 1952, at First English Lutheran Church in Ortonville, MN. Clarice and Murlyn were blessed with three children: Sandy, Donavan, and Terry. Together, Clarice and Murlyn founded the Twin Brook Threshing Show and enjoyed attending surrounding threshing shows and swap meets as well. The couple operated Minn-Kota Repair for 22 years. Clarice was a member of the Women’s Auxiliary and involved with setting up the flowers for the Big Stone County Fair in Clinton, MN. Left to cherish her memory are her daughters: Sandra (Daniel) Goergen and Terry Schnaser; six grandchildren: Chad (Angela) Goergen, Liza (Ryan) Keller, Ryan (Michele) Goergen, Shantelle (Nate) Roschen, Cody Goergen, and Taylor Goergen; six great-grandchildren: Kelsey (Kevin) Brown, Caleb Goergen, Kaitlyn Goergen, Ashlyn Keller, Oliver Goergen, and Milo Goergen; one great great-grandchild, Legend Brown; along with many other family members and friends. Clarice is preceded in death by her parents; husband, Murlyn in 2006; son, Donavan; and sisters: Shirley Goodhart and Evelyn Kottwitz. Please join the family for dinner and fellowship at the Community Center after the service at Mundwiler Funeral Home.